At Zoran Plastic and Cosmetic Surgery, Dr. Potparic and his surgical team are committed to perform plastic and cosmetic surgery of the highest quality, consistent with safety and artistry. Surgical innovation, to be legitimate, must be scrutinized and judged by other surgeons at meetings and in professional publications before it can be applied to clinical practice. The plastic surgeon must have appropriate surgical judgment and carefully recommend surgical procedures for each particular patient. He must always strive to achieve aesthetically pleasing, natural looking results that make the patient look rejuvenated and stunningly different. A superb plastic surgeon poses an overwhelming sense of proportion, balance, and natural beauty. Dr. Potparic offers those seeking Cosmetic surgery over 20 years of experience and artistry. 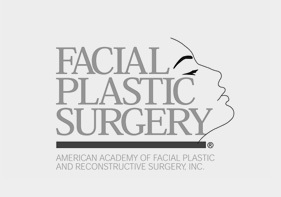 From his premier Ft. Lauderdale plastic surgery offices, Dr. Potparic treats all South Florida and Fort Lauderdale patients interested in aesthetic procedures of the face including facelift, forehead/brow lift, upper and lower eyelid surgery (Blepharoplasty), facial implants, nose reshaping (rhinoplasty) and fat grafting. Often a combination of these procedures is necessary to accomplish the look you desire. Dr. Potparic performs an array of the newest cosmetic and reconstructive procedures, please call our office for more information. Many of these procedures have little to no down time and can be performed in our AAAA surgery center. Liposuction is the number one aesthetic procedure for both men and women. It has enjoyed over 20 years of worldwide experience and is now safer with more predictable results than ever before. The best candidates are those of normal weight with isolated fatty areas that are resistant to diet and exercise. Liposuction can significantly improve contour and design a more flattering shape by removing these fatty deposits.Typically requested for the abdomen and hips, liposuction is also routinely done on breasts, thighs, back, face, neck, buttocks, calves and ankles. Research has shown it can improve cardiovascular risk factors and minimize loose skin and sagging that accompany aging.Liposuction is not a weight loss program. Those within 30 percent of their ideal weight with good overall health and elastic skin tone have the best results. Both men and women with excess abdominal fat and skin can benefit from abdominoplasty, often referred to as a “tummy tuck.” Those desiring a narrower waist and tighter abdomen are good candidates providing they are not smokers or have poor circulation. Belly overhang is the result of pregnancy, weight fluctuation or genetic predisposition. Abdominoplasty is intended for people of relatively normal weight. It is not the answer for a huge overhang of skin. Those who intend to lose significant weight should postpone having a tummy tuck until their weight is within a satisfactory range. Lower body lift or a belt Lipoectomy can offer a dramatic change in appearance for MWL (massive weight loss) patients, or those who are victims of time, gravity or genetic predispositions. This procedure is tailored toward those who not only have excess skin in the abdominal area, but sagging tissue extending 360 degrees around their torso. Body lift surgery helps elevate the entire lower body by tightening the abdominal wall, removing excess skin on the tummy, thighs and buttocks followed with liposuction for additional contouring. 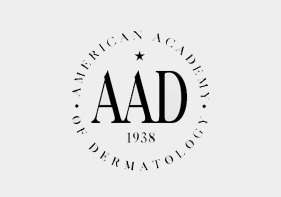 Most patients will come into the office and lift their skin to demonstrate the look they are seeking. This mimics the potential “resuspension” of tissues that can be accomplished with this surgery.Smokers are not good candidates for this procedure because of the detrimental effects on wound healing. Patients, who do smoke, will have to stop completely for one month prior to and after the procedure in order to optimize their healing process. Patients with bleeding disorders, heart disease, diabetes and high blood pressure have higher risk factors that will be discussed during the consultation. This is not an operation to counter obesity. Those over 50% of their ideal body weight are not good candidates. Patients who have experienced massive weight loss may be asked to wait 6 to 12 months for their tissues to completely stabilize prior to scheduling this surgery. Dr. Zoran Potparic, M.D., P.A. Dr. Porparic is extensively published and recognized as an international speaker on various topics related to the specialty of Plastic and Cosmetic Surgery. He has participated in numerous research projects in the field of surgery and pioneered some of the techniques currently used to treat birth and posttraumatic deformities in children and adults. Dr. Zoran Potparic has published over 30 papers in the peer reviewed journals and several book chapters in the literature related to Plastic and Cosmetic Surgery. He was awarded with a Fulbright Fellowship, The British Council Scholarship, Marko Godina Fellowship, and a Spanish Government Fellowship for his professional contributions. During his academic and teaching career as a Professor of Plastic and Cosmetic Surgery, Dr. Potparic has taught a number of residents and fellows the art and science of plastic and cosmetic surgery. Dr. Zoran Potparic’s Plastic and Cosmetic Surgery training took place in Europe, England and the USA. He also completed four years of fellowship training in craniofacial, cosmetic surgery and reconstructive microsurgery. 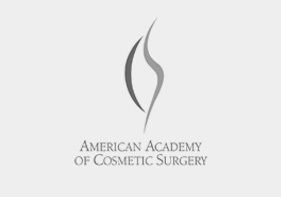 Dr. Potparic is Board Certified in plastic and cosmetic surgery by two boards; one of the is the American Board of Plastic Surgery. 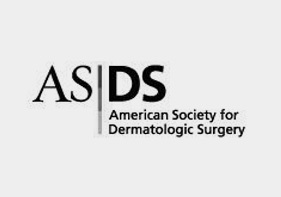 There are very few plastic and cosmetic surgeons practicing in this country with such a broad education in the field of plastic and cosmetic surgery.Dr. 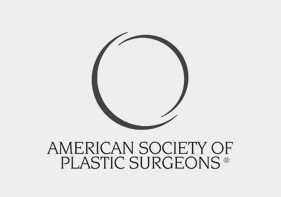 Potparic studied and worked with some of the most prominent experts and pioneers in the field of plastic and cosmetic surgery in the United States and Europe. This international experience is combined with the highest surgical standards. Dr. Potparic’s range of expertise extends from skull base surgery to foot reconstruction. University of Miami/JMH, Miami Fl. Program Director: J.H. Carraway, M.D. Program Director: C.E. Horton, M.D. Memorial Regional Hospital, Hollywood, Fl.